Have you ever fantasized about making your life easier with practical devices or services? Most people daydream on a daily basis and, surprisingly, they hardly ever actually do something about it. Think about all the things you complain about every day. Perhaps you don’t like some of the chores you have to do daily. Even if you make arrangements with other members of the family, it’s very hard to avoid all the annoying things that keep bugging you. People usually refrain from helping themselves, and their main excuses are usually a lack of time and money. However, the truth is that some of these things are easy to find and don’t cost a lot of money. Of course, if you try hard enough, you can get a great price on something that will save you time and make your life much easier and more stress-free. Food delivery is not big news anymore. However, apart from websites that offer an easy way to order food, there are also apps that are extremely user friendly. Plus, the database of these apps and websites is becoming really impressive. We’re always busy and it has become socially acceptable not to cook every day. With juggling work, kids, and other things, it’s very difficult to be able to prepare big meals that consist of several courses. Not to mention that sometimes you just don’t feel like it. You can choose from a selection of all sorts of cuisines, and it’s not only fast food, so your options are wide open. Therefore, allowing yourself this luxury from time to time seems quite acceptable, both morally and financially. Of course, if you’re sharing food with friends, you guys can split the delivery fee, or you can use special offers and discounts. Sometimes you can’t get to the place you need, because you catch yourself in a rather inconvenient situation of not being able to leave the house. These extreme cases happen from time to time, and it’s very comforting to know that there are services available to come and help you. This means you don’t have to hire a sitter or arrange for a family member to be there to watch your kids while you go and get your car serviced, as there are services that can do that for you. 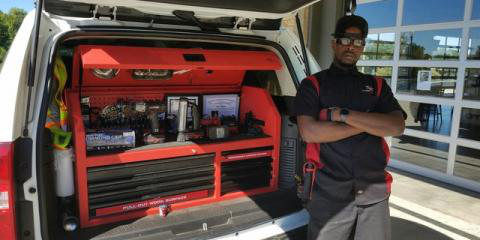 The popularity of mobile mechanics in Sydney is growing, and there’s definitely a reason for it. In those situations when you’re unable to start your car it’s much better to simply call the mechanic who will come to your home and fix your car on the spot. Vacuuming the house can be exhausting, especially in the summer when the temperature is very high and you need to drag a vacuum cleaner around and move furniture in order to clean everything. There’s also the inconvenient part of having to wait for the perfect moment when nobody’s in the house in order to make the process easier. However, you can make your life much more practical by getting a robotic cleaner. Sure, they sound expensive, and they are, but you can use checks, or find websites where you can get second hand goods. If you want it bad enough and you try hard enough, you can get one of these at a good price, and save yourself from having to go through the painful process ever again. 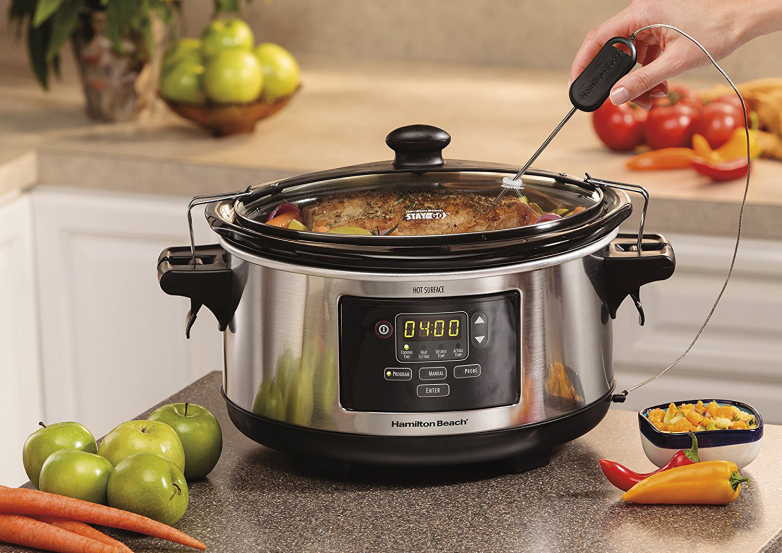 Another cool gadget people need in their household is definitely a slow cooker. Apart from the obvious reason of wanting your meal to wait for you warm and fresh after work, there’s also a factor of food being tastier when cooked slowly. It even has a timer and a thermostat you can adjust, so it’s adaptable to your schedule. We all find ourselves constantly searching for the same things. Usually, it’s our keys, phones and wallets. Well, there is a technology developed by Google that allows you to track your phone via your own computer. What is more, now there’s a way to track anything you want. Basically, you can attach a tracking device to your keys, wallet, or even your favorite lipstick. It can be pinned on anything. It’s quite affordable, and the amount of joy and stress relief it brings is immeasurable. We are creatures of habit and we find it hard to try new things. However, once we decide to leave our comfort zone and try to actually help ourselves and improve the quality of our lives, we’ll be well on our way of getting these devices and services and many more. Just try it, and you’ll see how amazing it feels to always know where your keys are, or to be able to rely on someone to fix your car or get you food or groceries whenever you really need it. It’s time to end your silly daily struggles and let yourself focus on more important things.